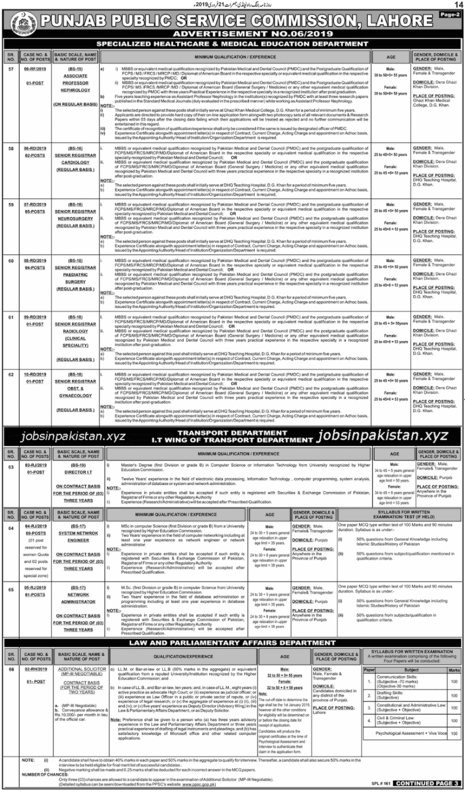 Jobs Description: PPSC Advertisement 06/2019 is given below on our site. Visit our site to view PPSC Advertisement 06/2019. 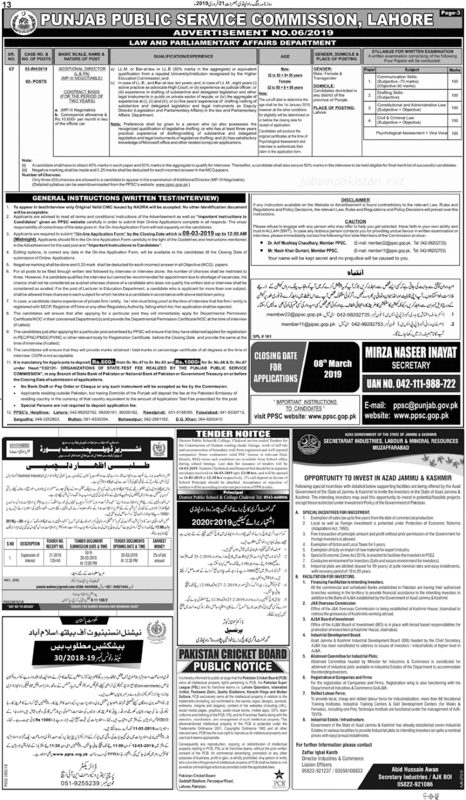 Punjab Public Service Commission recently announced an advertisement for jobs in Agriculture Department (Directorate General Pest Warning & Quality Control of Pesticides), Agriculture Department (Crop Reporting Service), Primary & Secondary Healthcare Department, Finance Department (Punjab Treasury & Accounts Service), Services & General Administration Department, Specialized Healthcare & Medical Education Department, Transport Department (I.T. Wing of Transport Department), and Law and Parliamentary Affairs Department. 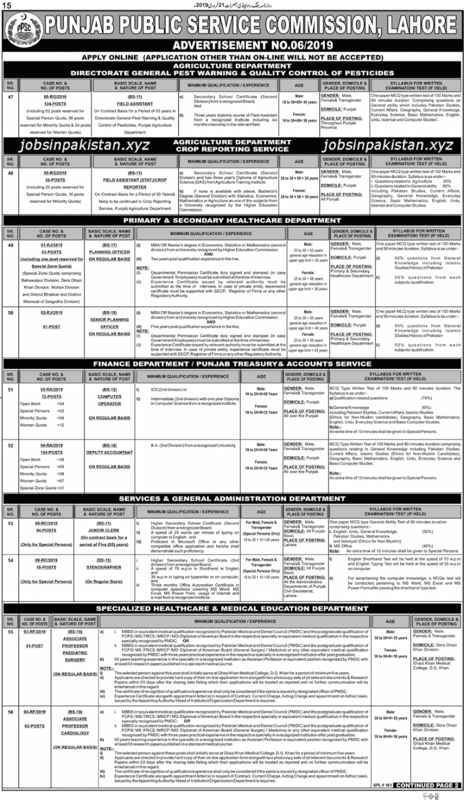 PPSC Jobs February 2019 is given below as per the department below. Punjab Public Service Commission has required the applications for the following jobs. How To Apply: The interested candidates may apply online through the PPSC (Punjab Public Service Commission) official website. Applications other than online will not be accepted. Only shortlisted candidates will be not be accepted by the PPSC.